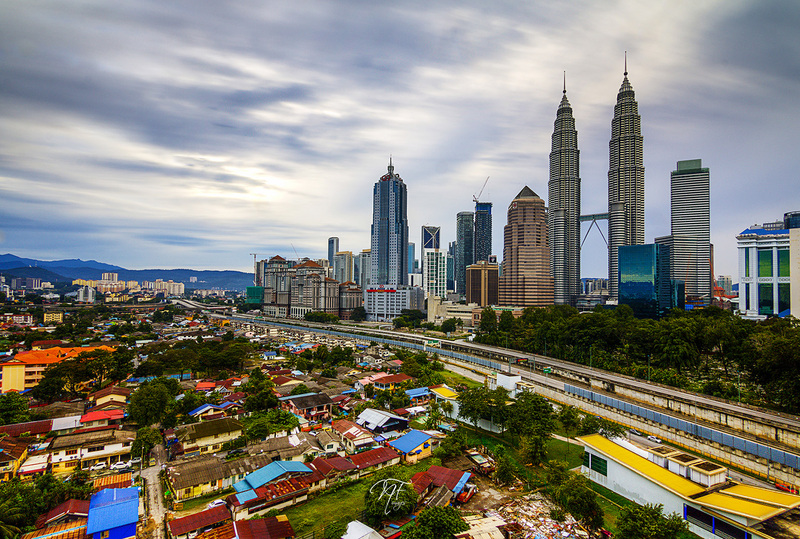 Urban centres situated in the outlying areas of Kuala Lumpur have seen an increasing demand for residential and commercial developments brought on by the influx of a growing urban population. Kuala Lumpur has a population of almost 2 million people but less than 200,000 live in the city centre due to its high costs. With their proximity to Kuala Lumpur city centre, ample pockets of undeveloped land and accessibility to Kuala Lumpur’s infrastructure and transportation eco-system, suburbs such as Bandar Tun Hussein Onn, Sungai Buloh and Kota Kemuning have emerged as modern, well facilitated townships that command the same levels of interests as their older and more established counterparts within Kuala Lumpur city area. More and more KLites are seeing the value in investing in these townships as they are part of the Greater Kuala Lumpur Transformation Plan. Situated on the 9th mile of one Kuala Lumpur’s oldest residential areas, Cheras is Bandar Tun Hussein Onn. This satellite settlement was established in early 90’s and is about 20 minutes from central Kuala Lumpur. It is very much a self-contained residential hub and lying to the west of the Cheras/Kajang Expressway, making it part of the upcoming area of Cheras South. The completion of the Sungai Buloh – Kajang MRT Line as well as the construction of Kuala Lumpur Outer Ring Road (KLORR), an orbital ring road in the greater Kuala Lumpur area that will serve as an alternative route to the congested Middle Ring Road 2 (MRR2) are key factors that will contribute further to the growth of this area. Bandar Tun Hussein Onn is also accessible via the Silk Highway. As Kuala Lumpur’s centre gravity moves towards the south, properties in regions such as Cheras, Kajang and Semenyih are expected to increase. It may be difficult to envision Sungai Buloh of the future as it is today, with construction hazards obstructing traffic and most parts of its main thoroughfare lined with old warehouses, sheds and nurseries. Interest in the once, “New Village” of the post colonial era began in early-1990s with the development of Bandar Rahman Putra by Land & General Berhad which was a few years later followed by the Tan & Tan Group and Tan & Tan Developments Bhd’s Sierramas gated and guarded estate. It was followed by Valencia, developed by Gamuda Land around an existing golf club. These early developments turned Sungai Buloh into a property hotspot. The game changer for Sungai Buloh, however, is the development of the 943 ha land once owned by the Rubber Research Institute, Employees Provident Fund and its wholly-owned subsidiary, Kwasa Land. The township, to be called Kwasa Damansara, will comprise 70% commercial and 30% residential components. Adding further value to properties in Sungai Buloh will be the optimisation of its accessibility with the construction of 2 MRT Lines with main terminals in Sungai Buloh i.e Sungai Buloh Kajang Line and the Sungai Buloh Serdang Putrajaya Line. The suburb of Kota Kemuning is in Shah Alam and is situated along the KESAS Highway between Subang Jaya and Klang. It is developed by Hicom-Gamuda Development Sdn Bhd, a mixed residential and commercial development spanning across 1,820 acres (7.4 km2). This well planned township has established itself as a more upmarket residential area catering to the middle and upper income families. The whole northern part of Shah Alam is undergoing major growth particularly around the Guthrie Corridor. Interest in Kota Kemuning continues to grow as economic opportunities increase. Townships such as Bandar Hussein Onn, Sungai Buloh and Kota Kemuning are experiencing phenomenal growth with increase in population, expansion of infrastructure and establishment of thriving commercial and business centres. The scarcity of land to fulfil the demand for further growth will see healthy appreciation of early investments.